Let me preface this with some background details. My mother-in-law has a 2015 Hyundai Sonata Sport and I've driven it enough to have gotten well-versed with the car. It's a fine car and—no surprise—drives like any other standard car drives. It has some fancy modern things like a backup camera, Bluetooth connectivity, and it even beeps at you when it's afraid some other car is going to hit it. Except it didn't. My other mother's truffle brown, chrome-trimmed, sporty sedan got backed into on the driver's side doors. The other person was completely at fault here. There was very little time to react, even if the Sonata had actually done its job and started beeping a lot. I suppose perhaps the beepy sensors have a blind spot when it comes to t-bones. After the accident, I became a de facto expert on the 2015 Sonata's body and styling. In helping my mother-in-law with the insurance folks, I took many pictures of the car. I compared panel gaps and contours from the undamaged side to the side with the bashed in door. I closely examined how everything lined up and flowed together. After a while, I started to really like the look of the car. Hyundai did a very nice job with it. The Sonata was punching above its weight on outward appearances. And the car in question had the Sport trim, which features a slightly different and better looking front end than the other trims. Now, on to the 2018 Sonata that Hyundai showed off at the New York Auto Show. 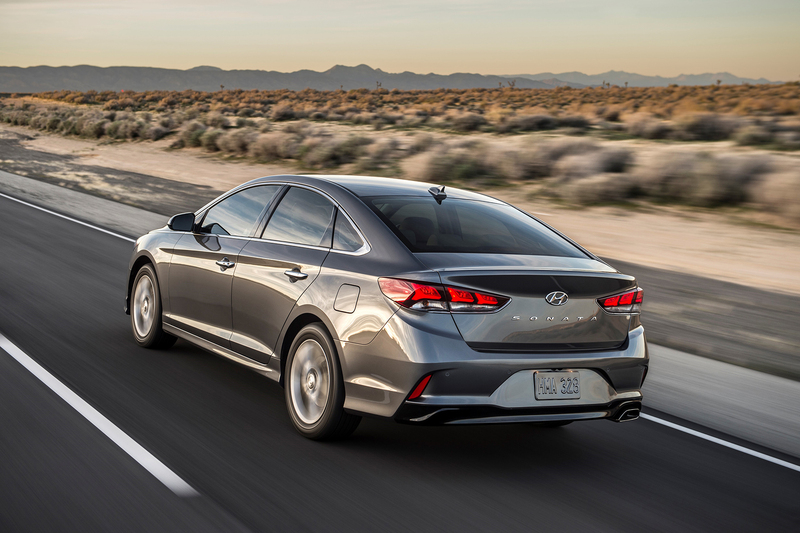 Hyundai has given the Sonata a facelift. The centerpiece, both literally and figuratively, is a completely redesigned grill. Hyundai hopes the new cascading grill will make an impact—figuratively, of course. It does just that. It looks like the designers took the previous Sport trim front end and expanded on the ideas. The grill now extends all the way down the front end, with some very aggressive side inlets packed with LED daytime running lights. The grill itself has some chrome accents, whose design creates that cascading element. It looks fantastic. It's a bit of an angry face, but not so much that it's off-putting. Hyundai spent a lot of time getting this grill and front end just right. But so did Audi. Do a Google Image search for 2016 Audi S4. Automakers copy rivals all the time. When trying to achieve a certain marketable aesthetic while conforming to the needs of the car as well as current safety regulations, cars of the same class start to look like each other. This case, in particular, isn't all that surprising. In 2006, Kia, which is owned by Hyundai, picked up designer Peter Schreyer from Audi. By 2012, he had gone from chief designer to the first non-Korean president of Kia. Since his arrival at Kia, the design language at Hyundai and Kia has started following very closely to that of Audi's. This is a very good step for Hyundai. When learning to write music, one must first study and learn the music of others in order to find his or her own voice. Hyundai is finding its design voice. A decade ago, Hyundai's cars were just that—cars. The company has spent that last 10 years upping its design game, leading us to now we currently are, which includes the cascading grill. Hyundai intends to incorporate the grill into the next round of updates for all its models. It's the new face of Hyundai. It's bold. It's a tad angry. It looks good. The ride of the 2018 Sonata has also been improved. Hyundai says that the steering is more calibrated and responsive. The rear suspension has also been upgraded to complement the steering, improving the handling while retaining the same level of comfort. The 2015 version, even with "sport" mode on, was not the most exciting drive in the world. There was nothing bad about it, but the 2015 Sonata drives in a calm and predictable manner. That's all perfectly fine, but I never felt connected to road when behind the wheel. It just floats along. Any improvement in this area, even just a little, will be welcomed. The car is also packed enough air bags to make you think it's fitted with Secure Foam from Demolition Man. It also has every safety system that has an acronym: VSM, ESC, TCS, ABS, EBD, BA, TPMS, BSD, and RCTA. They should offer $1,000 cash back at the dealership if you know what they all stand for. When it comes down to it, most buyers aren't going to be torn between purchasing a new Audi S4 or a new Sonata. After all, you can buy two Sonatas for the price of one S4. But for half the price of the S4, you can get a Sonata that punches well above its price point and looks a little bit like the Audi. 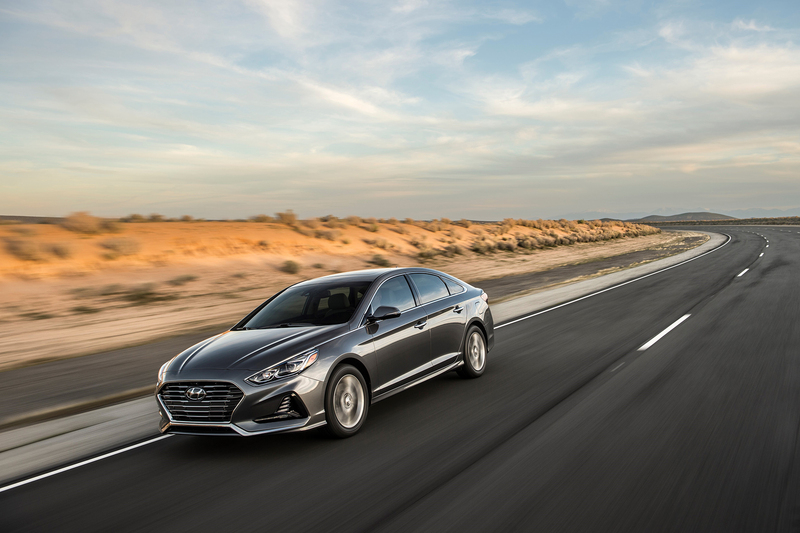 The 2018 Sonata offers you an affordable, reliable, and sensible car that looks slightly less sensible than it really is.